The Stairwell Sisters LOVE parties and weddings! I've hired the Stairwell Sisters several times for private parties and weddings that required either a country/old-timey or barn dance themed event. 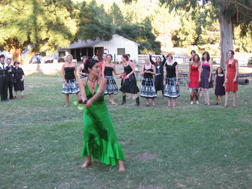 They were always professional, flexible, high energy, and tailored the event to exactly what the client needed. 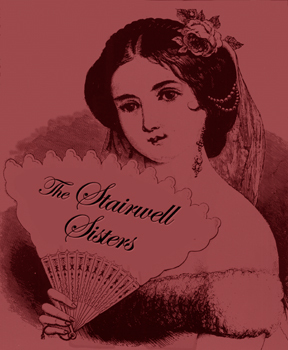 The Stairwell Sisters make parties happen with their driving music, beautiful singing and glowing presence. I recommend them for any group looking for an old fashioned good time. "The Stairwell Sisters and the square dance were the highlight of my weekend wedding in Montana!! I'll never forget seeing all of my friends and relatives dosey do-ing and kicking up their heels." "Thanks to the Stairwell Sisters for really making our 'harvest wedding' a night to remember. The band whipped the city-slicker friends and family right off their seats and into a frenzied hootenanny. Your energy and musicianship won over the entire crowd. 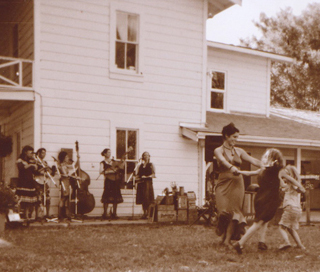 The best comment was from an African-American friend who said, 'I never expected to feel so comfortable at any party with square dancing or to have so much fun.' A big Yee-Haw to the Stairwells!" "We are more than stoked to have you all be a part of this most special moment in our lives...just consider the wedding location to be a super elaborate old-time movie set designed with you gals in mind... I'm just gonna imagine that it's 1940 and you have come out from Maces Springs in your old Model T to play for us. Tell Sara and Maybelle to bring extra strings." by the way folks, rosie is an amazing photographer! 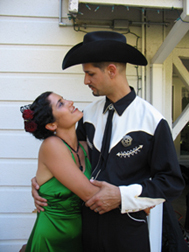 and tom is a dj with awesome flair, well-versed in old-time, country & more!